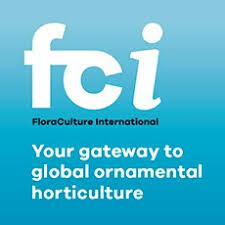 BLEISWIJK, Netherlands: Fleuroselect, the international organisation for the ornamental plants industry, is proud to announce that the FleuroStar Award 2015/16 goes to Petunia cultivars NightSky from Selecta Klemm. Andrea Dohm, Director Breeding and Research and Antonella Capo, Breeder of NightSky, accepted the prize from Fleuroselect President Herman Hamer, FleuroStar Committee Chairman Heike Gronemann and Sally van der Horst, Secretary General of Fleuroselect. The winner was announced at the Green Inspiration Event on Thursday 11 June in Bleiswijk (NL). Selecta Klemm’s NightSky was competing against Begonia tuberhybrida F1 Nonstop® JOY Yellow (Benary), Bidens hybrida BEEDANCE® Painted Red (Moerheim New Plant) and Osteospermum ecklonis Serenity™ Blue Eyed Beauty (Florensis). NightSky’s white spots on the dark violet flowers look like an ever-changing star constellation. This cutting-raised newcomer is easy to grow and transport thanks to its semi-trailing plant habit. NightSky flowers very early and convinces with excellent branching. The new FleuroStar winner will receive considerable marketing support: an advertising campaign worth EUR 3000; a tailor made promotion project at retail level worth EUR 1500, while DeschPlantPak will feature the FleuroStar Winner on a two page spread in their new Colour Your Story brochure. Next to conducting an international press campaign, Fleuroselect promotes the new winner at trade fairs and industry events. Furthermore, the Organisation provides ready-to-use marketing materials including lifestyle photos, a promotion video and leaflets, as well as ongoing promotion support. The FleuroStar Contest is held annually during the FlowerTrials week in June in the Netherlands and Germany. An independent panel of more than 30 expert judges visit the nine contest locations to choose the winner with the ‘wow’ effect at point of sale.